20"x6' Crepe folding paper is great for arts and crafts projects, classroom decoration and more. 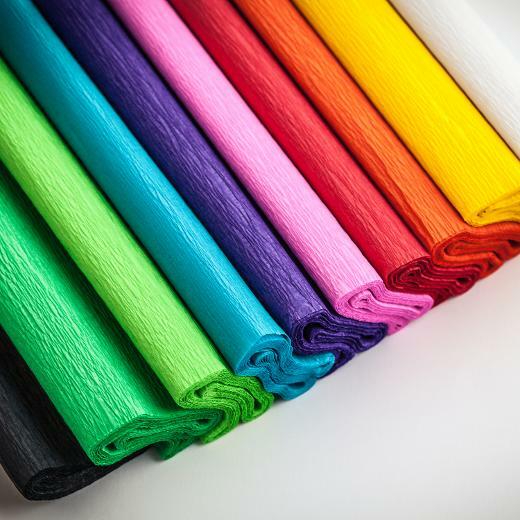 Check our full range of colorful crepe papers. Perfect for creative teachers, artists and crafters using stained glass, mosaics, paste-ups, paper sculpture, posters, decorative applique, gift wraps, craft projects, artificial flowers and collages. 20 in. x 6 ft. . or 10 sq. ft. .
L: 5.0 in. W: 0.25 in. H: 20.0 in.